In the wake of the Great War, from the detritus of imperial collapse there emerged a new political order of nation-states. Amongst the newly established entities there appeared an independent, sovereign Ukraine. From the outset, Ukraine was the object of invasion and its survival was in doubt. Nevertheless, in the search for legitimacy, extraordinary efforts were made to affirm the state’s sovereign, national character. This was to be accomplished by consciously connecting with Ukraine’s historical past both to invoke precedence and to encourage a narrative of political continuity. 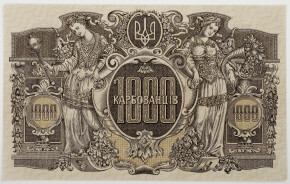 The symbols introduced in the currency of Ukraine during this revolutionary period were examples of this process. 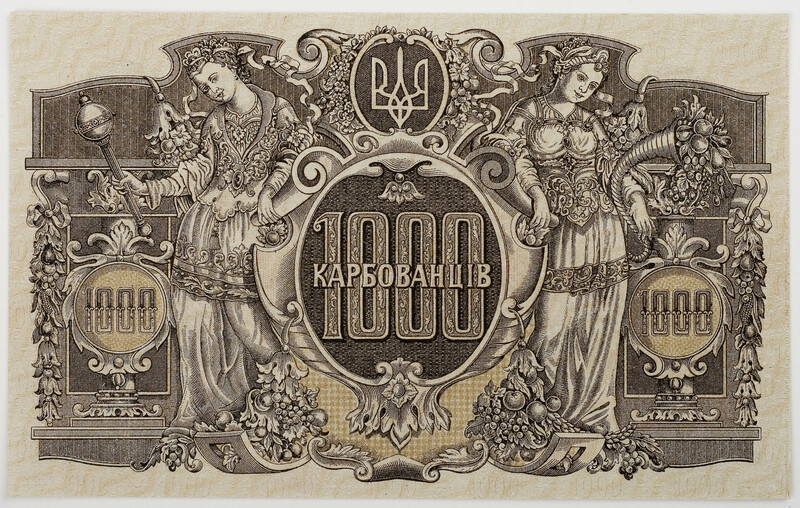 The goal of the Ukrainian Revolution, which aimed at national independence, was not achieved. But the legitimizing efforts increased the conditions by which society in Ukraine would become progressively aware and accepting of an identity consonant with the idea of the nation. It also infused the public’s imagination and consciousness with a sense of its own destiny. Once engaged, a national alternative became a distinct and real possibility – one, however, that would have to wait for a different time and moment to be realized. This entry was posted in Legacy Maltwood, McPherson Library, Past Exhibition and tagged History, Nationalism, Revolution, Travel, Ukraine on 3 November, 2014 by .